The card is pulled out while the camera is on. The camera is turned off during a write process. Formatting of the digital storage media. Accidental deletion of the photo. 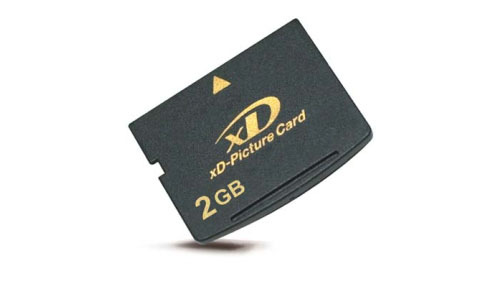 XD card, short for xD-Picture card, is an ultra-compact removable memory card developed by Olympus and Fujifilm. It has been widely used for digital cameras to store high resolution images. However, you may sometimes run the risk of losing precious pictures while using XD card, such as, accidental deletion, mistaken formatting, card corruption, interruptions during file transfer, etc. When you encounter problems above or other data loss circumstances, you need use xd card data recovery software. IUWEshare SD Memory Card Recovery Wizard(Win/Mac) can help you. It provides a safe, quick data recovery solution for you to restore deleted files on XD card and much more. It can recover photo images, videos and audio files such as BMP, JPG, JPEG, TIFF, PNG, GIFF, MP3, WAV, MPEG, MPG, AVI and MOV from floppy, Memory Sticks, Flash Cards, Sony Memory Stick, IBM Micro Drive, SD Cards, MMC Cards, XD Cards, Secure Digital Card, Hard Disks, Zip Disks, Mini Disks. Step 1. Connect the XD card to computer via card reader and launch IUWEshare SD Memory Card Recovery Wizard. Then select the drive that represents the xD-Picture card and click on "Scan". Note: If your XD card has been corrupted physically and the data on the XD card has been overwritten, IUWEshare SD Memory Card Recovery Wizard can't guarantee that recover all your lost files completely. So, Please don't overwrite the data after you lost data on XD card.